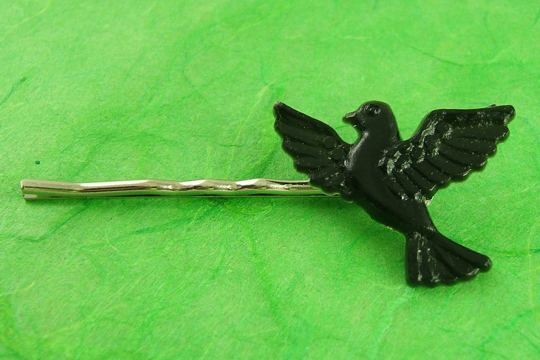 Lovers of crows, ravens and other blackbirds will fall in love with this sweet blackbird bobby pin! 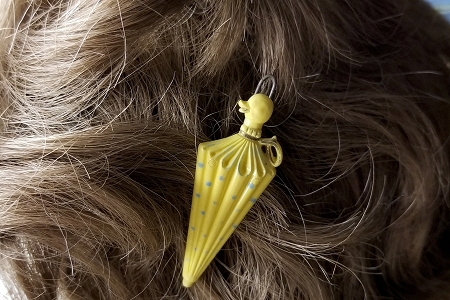 Created from a vintage plastic blackbird, the bobby pin will look great in any color hair. The blackbird measures about 1-1/4 inch. 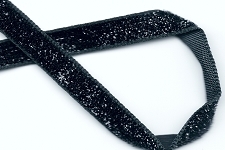 Or, use it for a bookmark or paper clip. This is a vintage piece, so please be careful when cleaning and wearing it.